Peacefully passed away on Saturday, September 22, 2018 at the age of 76, while at Golden Birches Terrace in Blind River, ON. Chester was predeceased by his loving wife Ruth. 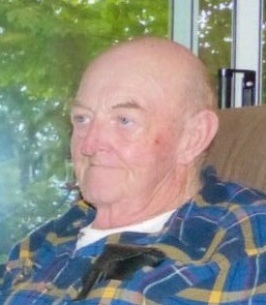 Beloved father of Ginny Irvine (Jeff). Forever missed by his cherished grandson Alex. Lovingly remembered by siblings Enid Degagne (the late Russel), Harvey (Diane), Judy Jensen (Peter), Beckie Trivers (Roger) and Murray (Darlene). Chester leaves numerous brother and sister in laws, nieces and nephews, cousins and friends. The family thanks the staff of the acute care at North Shore Health Network, Blind River as well as staff at Golden Birches Terrace. Donations to the Diabetes Association or the Kidney Foundation are gratefully accepted and appreciated by the family. To plant a tree in memory of William Chester "Chester" Harper, please visit our Heartfelt Sympathies Store. Sorry for your loss Ginny. Hugs to you, Jeff and Alex. Dear Ginny and family, we are so sorry for your loss. Thinking of you. Sorry for your loss. Our condolences to you and your family in this time of sorrow. Chester was a great guy.